These are in a new commercial kitchen under a peninsular food prep counter. What do you suppose the installer was thinking? OK- so he didn't use a 'real' floor box! Let's at least give the guy credit for having his heart in the right place; there is a gasket, the cover will keep stuff from dripping in, and -if all are placed like this one- they are out of the way of foot trafic. Not that I expect the covers to last very long! Even a rated floor box would allow stuff to drip inside, and surely wouldn't keep mopwater out whereever there was a plug inserted. I think this application would be better served by "tombstone" pedestals for stuff under the counters, and drop cords for everything else. As nice, reliable, and prooven GFCI's are, they are no substitute for good design. What do I think he was thinking ? He wasn't ! He obviously has never worked in a kitchen when it is washdown time. I bet he was thinking "damn architects.. how the ****** am I supposed to do this, and keep the outlets dry when they mop the floor?" Personally, I would have brought the outlets down from above on pendants, and kept the floor clear. I don't think that brass floor plates would work well here, A/V style floor pockets would collect water and crud, and the office style speed bumps would probably have the same problem, with no protection. The other option might be to mount a piece of strut, and mount the outlets above the floor level, fed with LT from below. I bet he was thinking "damn architects.. how the #@^% am I supposed to do this, and keep the outlets dry when they mop the floor?" I doubt an electrician decided that spot needed floor outlets. At least they are GFCI. Personally I would hope that a GFCI CB feeds these outlets. A wash down would most likely drip on the unprotected (line) side of those GFIs. 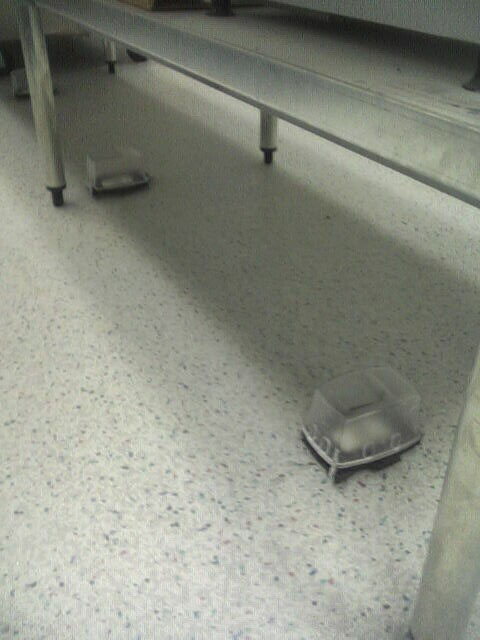 IMHO putting any recepts on the floor in a washdown area like that is like playing Russian Ruelette. Pendants from the ceiling would have been my choice. 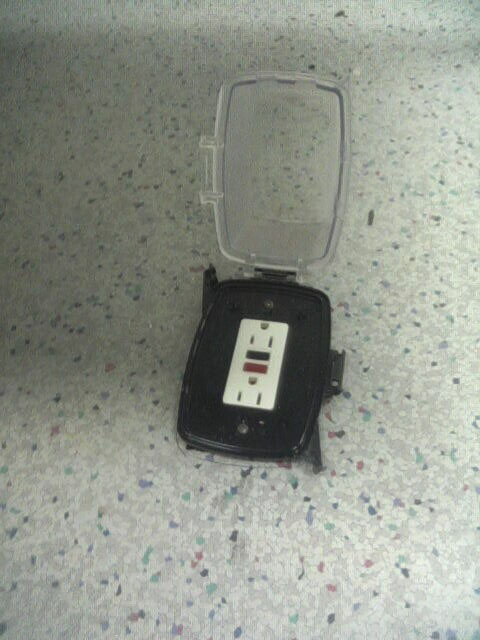 In this government building, the floor is liberally sprinkled with receptacles like this one. 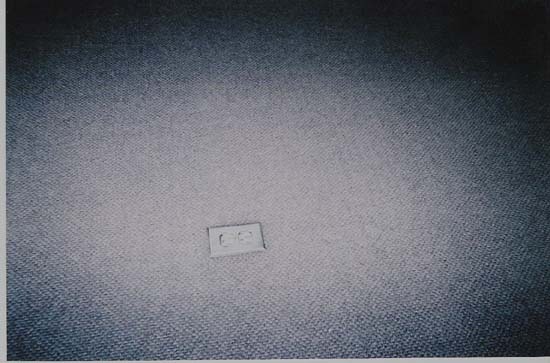 Cut-in box, device- and cover suspended above it all by the carpet and padding. What was that rule about space between the box and flammable materials? Figure there's a 1/4 inch gap at each one. Oh, and wouldn't you like to be the carpet cleaner? At least, with a receptacle under each cluster of desks, they weren't using extension cords. That government building office wasn't the electrical inspector's, was it? So Randy, what do the boxes on the floor have now?